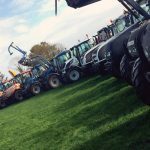 For some, agricultural contracting is simply in the blood. It’s a vocation, something that comes naturally. Richard McClean was born into contracting and he can’t imagine having done anything else with his life. 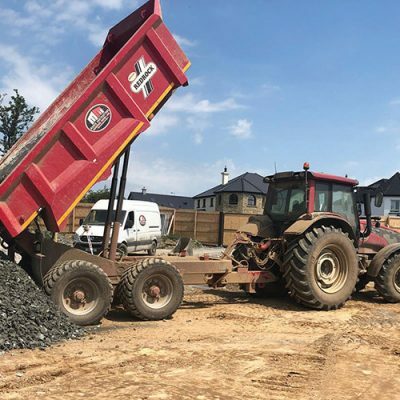 He’s passionate about the land and takes great pride in his stunning, finely-tuned fleet and the comprehensive range of services provided to customers all over the County Derry. A tremendous investment of personal care and attention to detail goes into every job, allied to an innate understanding of the land and a steely determination to get the job done right – and on time! – every time. 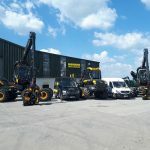 This is why the Swatragh man has developed a vast customer base, many of whom have been with the family for between 30 and 40 years. 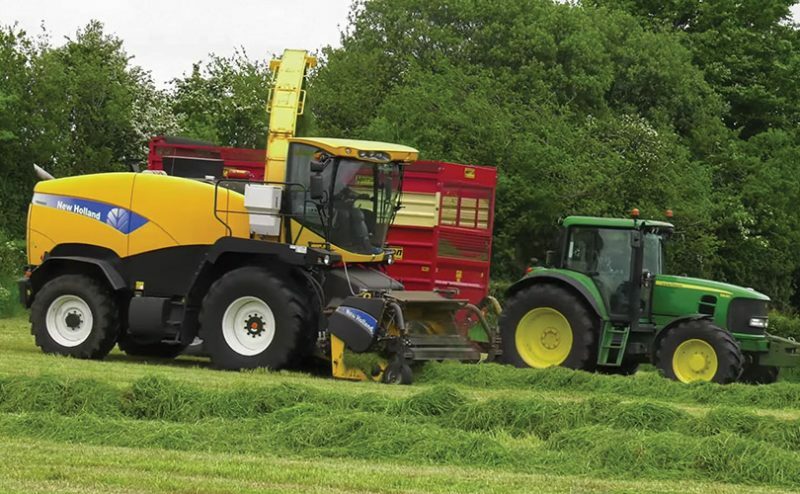 It’s also why he is regarded as the premier agricultural contractor in Derry and has been for many decades. 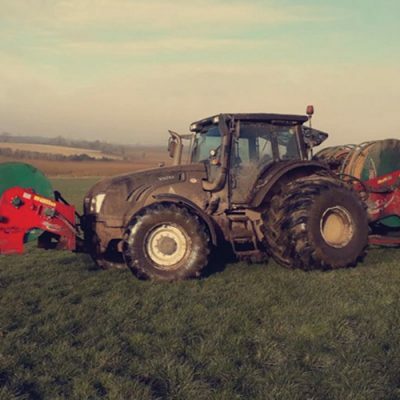 The start of the family business dates back to the early 1940s when Richard’s grandfather Adam began providing agricultural services to the local farmers and this was carried on by his father James who is still involved in the business today. Not only does the McClean family boast more than seventy years of experience and a track record that is second to none in the province, Richard also has at his disposal a superb fleet of tractors and agricultural machinery which he has assembled and maintained painstakingly and meticulously down through the years, always mindful of the fact that a modern fleet would provide key efficiencies and in turn a better service to clients. Richard’s fleet currently consists of a modern range of tractors, harvesters, slurry tanks, balers, etc, etc. “We know the need for a good fleet. 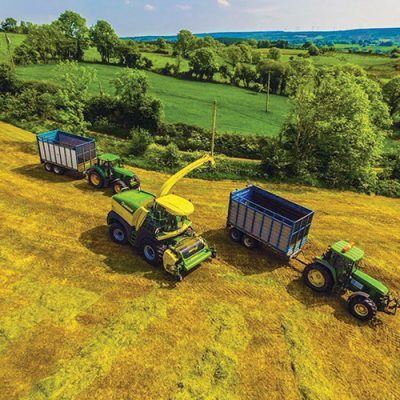 I would use mainly John Deere and New Holland tractors, while we we have a New Holland FR700 doing the harvesting and a New Holland T6 0175 for the round baling,” said Richard. 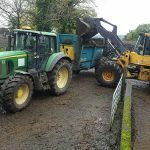 Needless to say, with such an extensive fleet at his disposal, he provides a full range of agri contracting solutions including silage, baling, harvesting, slurry, hedge cutting and much more. 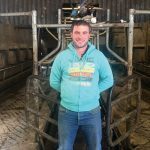 Richard revealed that they carry out their own maintenance work to ensure optimum performance from every unit in the fleet, while a programme of continuous reinvestment and refreshment sees to it that Richard consistently owns and operates the best fleet of agri machinery in the region.